Professional business advisors like me hold all sorts of ideas about small business success formulas, or recipes. But can I share something that’s mostly personal opinion? I think you can categorize most successful small businesses as employing one of following six formulas. Your new small business will probably fall into one of these categories, so I want to discuss each formula in a bit of detail. I want to explain how each formula works (or sort of works), for example. And I really think you ought to know the most common mistake entrepreneurs make when using a particular formula. The external solution formula probably represents the easiest way to quickly create a profitable business. In a nutshell, the external solution formula works when some customer or client will buy enough of your time or product at a high enough price that your business automatically works. This maybe sounds like gobbledygook, so let me share a real-life, personal example. In the mid-1990s, Microsoft Corporation began publishing increasingly large numbers of books and reference manuals about their products. If you visited a large bookstore during this time, you may have noticed the computer books that filled some aisles of stores. These are the books I’m talking about. Initially, Microsoft used in-house employees to write, edit and produce these books. Then they began to work with outside authors, which is where I first got involved. And then, as they got even busier, they began to outsource most of the book publishing work. In the end, in fact, because they needed so many books, the publisher, essentially, asked people experienced in book publishing to just “do” many of the books that Microsoft wanted to publish. In my own case, I was asked to lease office space, hire employees, and find independent contractors so I could write, edit, and package one to two dozen books a year, which Microsoft then sold. Just to cut this long story short, Microsoft was willing—happy, really—to pay me enough for these services so that my personal profits ran several hundred thousand dollars a year. And this went on for several years. But what’s really interesting about this situation are not the particulars of my personal story. What’s interesting, I suggest, is that this sort of entrepreneurial opportunity appears very regularly. For example, an organization needs a manager for a large important project. Or it needs a consultant to implement some new technology. Or it needs a veteran problem-solver to fix some item that’s broken. First comment: The external solution formula should typically produce almost immediate profits. For example, if you find yourself with an external solution opportunity—maybe you’re going to build or manage a huge web site for a single client—you should make money simply by building or managing the web site. Period. A second comment about the external solution formula: A business that falls into this category is really easy to spot: the business usually only have single customer—or when that’s not the case, the business has a large dominant customer that basically makes the business. A third, really important comment about the external solution formula: The business owner operating with this formula often makes a common mistake. The common mistake is thinking the external solution creates a long-term business. Almost always, businesses that use the external solution formula tend to last only a few months or years. Eventually, very predictably, the solution the business provides stops being needed by the customer organization. And this short-term nature of the business justifies and explains the reasonableness of the immediate profits. If the external solution formula represents the quickest route to a profitable business, probably the most common route to a profitable business is the financial leverage formula. Explaining how and why this formula works requires a bit of arithmetic. I apologize for this. But you need to understand the arithmetic to see why this formula works—and what happens when the formula fails. The financial leverage formula rests on a simple economic principle: If you borrow money from a bank that charges you, say, 10% interest and you reinvest that money in something that pays you, say, 20%, you increase your profitability because of the interest rate spread. A quick, concrete example often helps when trying to wrap one’s head around this formula. So let me give you that. You can, it turns out, buy many small businesses at prices that equal 2.5 times their cash profits. That price-earnings multiple can be restated as a 40% return on investment. If you find a willing bank, you can often borrow money at a far lower rate. For example, many borrowers might be able to borrow money at 10% or less. Accordingly, someone could go out and buy a business like a machine shop, a commercial printer, or a specialty retailing business that makes $200,000 in profit for $500,000. And if a bank is willing, all of this $500,000 can come from a loan. The $500,000 loan used to buy the business, if the interest rate equals 10%, would cost $50,000 a year. In this example, financial leverage allows the business owner to make $150,000 a year. With $200,000 in cash profits and $50,000 in loan interest, the small business annually earns $150,000. You can always tell when someone bases their business profitability on financial leverage. The entrepreneur uses, or mostly uses, borrowed money to fund the business. And, typically, financial leverage works well most of the time. Perhaps four out of five years, or nine out of ten years. But a business that relies mostly on financial leverage for its profitability tends to make a common mistake that ultimately ends the life of the business. Commonly, the highly-leveraged business doesn’t have enough capital to withstand a business shock or a financial shock. Accordingly, when the business experiences the inevitable bit of bad luck—loss of a key employee or major customer, a recession, or a change in customer tastes—the leveraged business quickly fails. The trick to making financial leverage work long-term as a success formula is to have enough financial cushioning in the business to get through a tough patch. Arguably, the early entrant formula wins the prize for being the best entrepreneurial opportunity. And that’s maybe why so many technology businesses (sometimes without knowing it) employ this formula. So let’s dig into this approach a bit. With the early entrant formula, you hope that you’re the first or one of the first people to enter a particular market. Here’s why: As an early bird to a market, you probably will initially have some market all to yourself or mostly to yourself. And by the time that other people see the opportunity, you will have ideally established a strong presence. With luck, you may even find you’ve become a large business and able to fend off attacks from huge competitors. The most visible businesses using the early entrant formula appear in feature stories in newspapers and magazines. Some entrepreneur invents a new technology or business process or greatly improves a technology or business process. The timing works just right. And almost before anyone knows it, the entrepreneur’s business grows large. Amazon. Google. Facebook. You get the idea. Very bluntly, the early entrant formula, when it works, makes entrepreneurs enormous amounts of money. If you’re the first entrepreneur to serve a market, you possess an enormous advantage over late-to-the-party competitors. If you’re an early successful entrepreneur serving a particularly fast-growing market, you may find yourself shopping for a private jet in the not-too-distant future. Despite the attraction of this formula, however, a caution must be made. Spotting some unmet need early—an unmet need that can be profitably served—is almost impossible. Indeed, after more than three decades of learning about and working with entrepreneurs, I would say luck is the critical factor. Just to hammer home this point with a bit of technology history, you don’t want to start a business that makes clever operating software for personal computers. And you don’t even want to start a business that makes operating software for personal computers right at the dawn of the personal computer revolution. Rather—and here I’m talking about Microsoft of course—you want to be the company that gets a telephone call from IBM asking if you’ll make an operating system for their new personal computer. I don’t want to beat the “it’s mostly luck” drum too loudly. But when entrepreneurs think about using the early entrant formula, they need to not focus just on the stories covered in this month’s issues of Forbes, Fortune and Inc. magazines. For every success story presented in one of these popular business periodicals, we all need to remember the thousands of entrepreneurs failing in their ventures. That’s tough to do. These failures are usually hidden from view. But the failures of the early entrant formula occur all the time. Ask any tax accountant. Another small business formula requires mentioning here, even if this formula is not one you want to use if you can possibly help it. Some businesses (including many personal and professional service businesses) don’t really pay their owners anything other than a modest hourly wage. I call the formula that these businesses use, the just-a-job formula. You can always spot one of these businesses. The owner just works a ton of hours: long days, six- and seven-day work weeks, infrequent vacations, and so on. In essence, the entrepreneur running a just-a-job business makes money because he or she sells time for a wage-like hourly rate. These just-a-job businesses can look good on paper if you’re not careful. Sell enough hours even at a modest hourly rate, and the annual profit will seem impressive. But you don’t want a small business that uses the just-a-job formula. And if you find yourself in such a situation, you should work to replace the just-a-job formula with one of the other, better formulas. People using the just-a-job formula ultimately burn out. If you have to work a million hours to make a decent living at a particular business, you should not be in that business. Sorry. A quick, perhaps obvious point: There are some businesses that aren’t really businesses at all, but rather investments that the investor spends time on. Consider the case of real estate, for example. Someone who owns an eighty-unit apartment building free and clear may sort of look like an entrepreneur running a business. But probably if the business isn’t making something well in excess of the return that the investor could make simply by investing the money into a mutual fund, the business is really just an investment. There’s nothing wrong with the really-an-investment formula. But as a practical matter, this particular formula is not one that most small business people can even consider. In order to make a really-an-investment business pay off, you need lots of cash to invest. And if you already have lots of cash to invest, you probably don’t need my help to get you started with a small business that makes, say, double the money you earned in your old job. The remaining success formula amounts to a catch-all category for businesses that work but that don’t fit into one of the categories described earlier. Some businesses, for example, aren’t just a job or just an investment. These businesses really do make above average profits. And when you look closely at the business, you see pretty clearly that the profitability isn’t simply because the entrepreneur is running an external solution, financial leverage, or early entrant success formula. When you see a business like this, I would say that the entrepreneur is using what I call a secret sauce formula. So what is a secret sauce formula? It’s a little hard to concretely explain, unfortunately. But the secret sauce formula usually goes beyond simple possession and disciplined use of a good strategy. In a small business, usually, other ingredients get added to the secret sauce: A good accounting system, smarter decisions about who to hire and how to fire, extra, often “insider” knowledge about the industry, clever solutions to tricky problems, and so on. To generalize, in a business based on a secret sauce formula, the entrepreneur just does things smarter. And when an entrepreneur does enough things smarter—enough key things—that business just makes more money. The cumulative effect of doing things smarter, in effect, is the secret sauce. You won’t be surprised that I think this is the approach you want to take in your small business. Sure. You can use a bit of leverage if that’s an option. Of course, you should consider seriously profitable opportunities to use the external solution or the early entrant formula. But what you want to base your business on is a secret sauce. In many businesses you really can succeed if you simply work a little smarter and a little harder than your competitors. Do You Own a Small Business? Want to Save Taxes? Here’s something that I’ve noticed again and again about small businesses. They usually don’t do a very good job about maximizing their tax deductions. 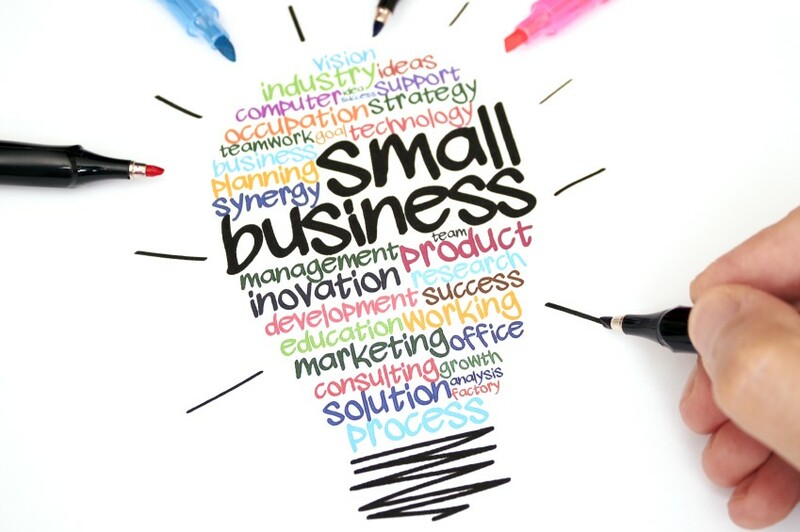 More specifically, small business owners usually don’t go to the effort of structuring their business activities to protect legitimate deductions, to create new deductions and to recycle (or double-deduct) the deductions which can be used more than once to save taxes. 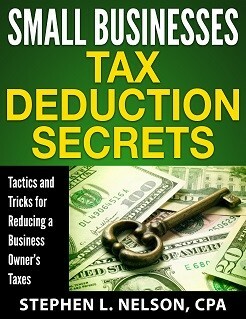 Which neatly brings me to my e-book, Small Businesses Tax Deduction Secrets. This 70pp e-book addresses this information short-fall by talking about how you can annually save thousands or even tens of thousands of dollars in taxes simply by more effectively using legitimate business deductions. And a quick note: If you’re a client of our CPA firm, you don’t need to purchase this ebook. We will happily provide you with free copies of any of our books, including this one. Just ask for a copy next time you talk to us. Success is somethings that everyone desires to have but to be successful determination and interest is imperative. Vivid description, and this six formulas help startup entrepreneurs to succeed in their business venture.